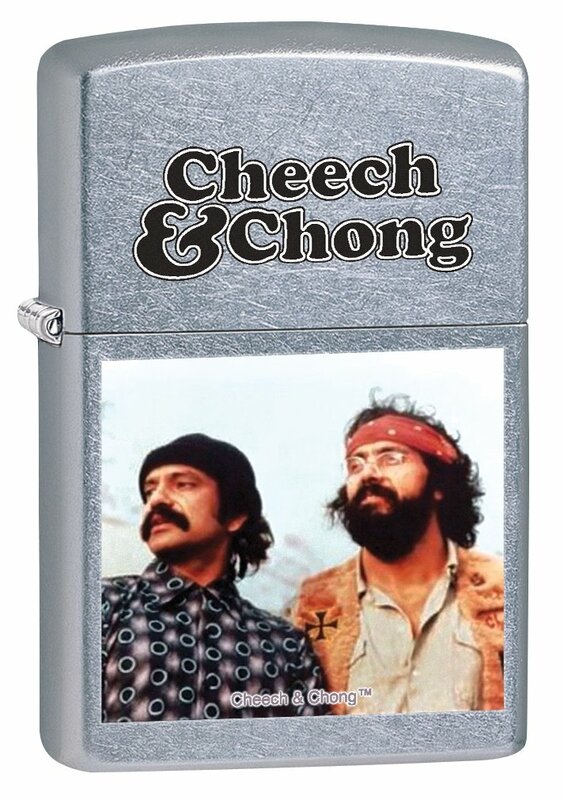 Officially licensed Cheech & Chong Zippo lighter on rugged street chrome finish. Color imaging captures a familiar portrait of the iconic comedy duo; street chrome finish resists scratching and fingerprints. Refill with Zippo premium lighter fluid for dependable, long-lasting service. Distinctive bottom stamp identifies this lighter as genuine Zippo. Packaged in an individual gift box with Zippo Lifetime Guarantee.